As mythical as the espresso machine, the moka pot will let you easily prepare a moka coffee , a drink between a filter coffee and an espresso. On MaxiCoffee, you will find a great range of moka pot cafetieres compatible with all heat sources, induction and all sizes from the best brands in the world : Bialetti, Aeternum, Alessi and many more! 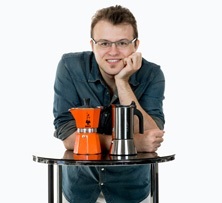 Note that 1 moka pot cup corresponds to 5cL. 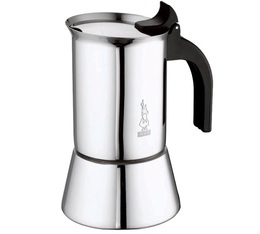 Therefore, a 3-cup cafetiere will allow your to make 15cL of coffee. Choose your capacity wisely!